A surge of new electricity retailers has led to better prices for consumers. But can it last? Contact Energy executives based at its Wellington headquarters could be forgiven for taking the long way home. In January 2016, Flick Electric Co. put up a billboard that for the following year loomed above one of the main routes south from Contact HQ. Since the ad appeared, Flick has doubled its market share to more than 19,000 connections, while Contact saw no growth in its 365,000-strong customer base. Flick’s growth is the biggest of any of the new, independent power companies. But it’s not the fastest. That title goes to Paua to the People, a Wellington-based retailer that grew by nearly 5000% in 2016. However, it started with just 13 households, so that staggering growth only nets it 537 connections. It’s not just Flick and Paua to the People poaching customers from established powercos. According to the Electricity Authority, 29 “small- to medium-sized electricity retailers”, defined as everyone except the big five (Genesis, Contact, Mercury, Meridian and Trustpower), won 50,000 new customers in 2016. Meanwhile Trustpower, the fastest-growing incumbent, achieved 11% connection growth after diversifying into bundled broadband, power and phone services. New Zealand’s biggest retailer, Genesis Energy, returned the worst performance, dropping more than 14,000 customers. The fastest growing retailers generally offer innovative ways to pay for power or cater to consumers’ environmental concerns. But the main driver for their growth is low prices. They undercut the big five either by running lean operations or by directly passing the wholesale (spot) price of power to consumers, thereby avoiding the financial risk of price spikes. And their customer service may outshine established retailers. In our last energy providers survey, the big five all rated below-average for customer satisfaction. Smaller retailers consistently rate above-average in the survey and have low customer churn, with Flick Electric Co. achieving an overall satisfaction rate of 96% in 2015. Flick Electric Co. (139% growth in 2016, 9884 new customers in 2016) has a single electricity tariff based on the spot price of power, which varies every half-hour. Flick customers can use its free app to monitor spot prices and measure their consumption in terms of carbon emissions. Flick is available everywhere in New Zealand as long as you have a smart meter, and as with all retailers a low fixed charge option for low users is available. No fixed-term contracts or break fees. Paua to the People (4978% growth in 2016, 448 new customers in 2016) is the only retailer besides Flick currently offering a spot-based tariff. Whereas Flick is a classic example of an ambitious start-up, Paua is a more low-key operation. Run by two staffers from a villa in Wellington’s western suburbs, Paua has never placed an ad, offers email-only (though 24-hour) customer service and doesn’t have an app. The upshot is miniscule overheads, meaning it’s able to offer slightly lower rates than Flick. At present, it only serves Wellington consumers with a smart meter. No fixed term contracts or break fees. Electric Kiwi (878% growth in 2016, 5901 new customers in 2016) offers a flat rate but lets you nominate an hour of free power each day during off-peak times (9am to 5pm and 9pm to 7am). Chief executive Luke Blincoe says Electric Kiwi won’t raise prices this year. It guarantees you’ll save in your first year compared with your previous retailer or it will credit you the remainder. Customer service is email- and livechat-only. Available throughout New Zealand as long as you have a smart meter. No fixed-term contracts or break fees. Ecotricity (494% growth in 2016, 780 new customers in 2016). A “carbonZero certified” electricity retailer, meaning it offsets all carbon emissions from its operation by investing in renewable energy and electric vehicles. It also only enters into contracts with generators of renewable energy. 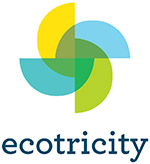 Unlike many smaller retailers, Ecotricity will buy back power from grid-tied solar PV systems. Its solar buyback rates are comparable to the big five retailers (approximately 7¢/kWh). Offers contracts with a 3-year energy price freeze. Available throughout New Zealand as long as you have a smart meter. Wise prepay energy (859% growth in 2016, 1908 new customers in 2016). A prepaid electricity service requiring no deposit, credit check or fixed contract. Aimed at those who have been disconnected by other powercos. If your balance hits $0 your lights will go off that same day. Offers a customer-only app to monitor your balance, power consumption and top-up your account. Has traditional low and standard user flat rate plans. Available in Auckland, Hamilton, Hawke’s Bay and Wellington as long as you have a smart meter. P2 SolarShare (156% growth in 2016, 78 new customers in 2016). New Zealand’s only “peer-to-peer” energy provider. Attracts customers with grid-tied solar PV systems with significantly higher buyback rates for their surplus energy than other retailers (16c/kWh vs around 7 to 8¢/kWh for other retailers). Offers its non-solar customers cheaper power when solar customers are feeding surplus energy back into the grid (14¢/kWh vs 18¢/kWh for grid power when no solar is available). Allows you to support solar if you’re a renter or otherwise lack the ability to invest in a system. Guarantees 7% of your power will be charged at the lower solar rate, but only during summer. No fixed term contracts or break fees. Only available on Auckland’s Vector network. Electra Energy (99% growth in 2016, 499 new customers in 2016). Operated by Kapiti-Horowhenua lines company Electra and only services customers in that region on the Electra network. Offers a fairly standard suite of fixed and day/night tariffs. Customer-owned with profits going back into the community. No smart meter required. megaENERGY (37% growth in 2016, 985 new customers in 2016). Services the Auckland region with a standard suite of fixed rate plans. Targeted at the Asian market with customer support in Korean, Chinese and English. Bundled landline, broadband, mobile and TV streaming plans, in addition to electricity, are available from parent company megaTEL. Offers free smart meter upgrades. Payless Energy (27% growth in 2016, 142 new customers in 2016). Dunedin-based retailer catering to residential and industrial customers throughout Otago and Nelson, and currently expanding into Southland. Offers traditional, though competitively priced flat rate and day/night plans. No fixed-term contracts. No smart meter required. Pulse Energy (5% growth in 2016, 2867 new customers in 2016). Community-owned retailer offering electricity and gas (both natural and LPG) nationwide. Offers a plan with a commitment not to increase your bill at greater than an agreed fixed rate for 3 years. 30-day notice required before switching but no contract break fees. Pulse also operates Grey Power Electricity, available to members of Grey Power. Note: Property Power and Pacific Energy Alliance (formerly Body Corporate Power) also experienced strong growth in 2016, but these retailers serve customers in apartment complexes who often have no choice but using this retailer. Developers defend these arrangements on the basis they can use their buying power to get good deals. But we’ve raised concerns about these arrangements in the past as they deny owners the opportunity to choose retailers for reasons other than price. Traditionally, retailers buy power on the wholesale market then sell it to consumers at a flat rate or day/night rate. The retailer wears the risk of exposure to the vagaries of the market. It reaps the rewards when there’s a supply glut and/or demand is very low, and bears the brunt of high spot prices whenever a generation shortfall means it has to buy power from more expensive plants. If you opt for a spot tariff, there is no buffer between your bill and wholesale prices – the risk, and reward, is all yours. The price you pay per unit will often be cheaper on average because the retailer doesn’t need the same degree of security against high spot prices, and you can reduce your bills further by shifting some of your electricity consumption to off-peak times. But on cold winter evenings you’re likely to pay more than those on traditional flat-rate tariffs as the spot price is higher. However, even if you’re blasting an electric heater while cooking dinner in the oven and watching TV, the amount you’ll pay will only be a dollar or two more per night than if you were on a flat rate, which for most customers is more than offset by the periods of cheaper pricing. If you opt for a spot tariff, there is no buffer between your bill and wholesale prices – the risk, and reward, are all yours. Dr Tony Downward, an expert in electricity markets at the University of Auckland, says the risk of a spot price tariff is not small peaks that regularly occur on cold winter evenings, but the large spikes that occur when “a number of things go wrong at the same time”. “Although the grid is now more resilient than it was in the past thanks to NIGUP [the North Island Grid Upgrade Project, designed to improve Auckland’s security of supply and completed in 2012] and the recent upgrade of the HVDC link between the North and South Islands, if there is a major plant or transmission line outage, prices can rise on the spot market very sharply,” he says. He says the Electricity Authority’s “stress test” regime, where a retailer must disclose the hypothetical effect of a sudden or sustained rise in spot prices on its financial position, uses a price of $10,000/MWh for 8 peak hours to simulate an unexpected power shortage at a time of high demand. If wholesale prices soared to that level and you were on a spot contract, you could pay more than $100 for an evening’s worth of electricity if you failed to reduce your consumption. That said, if current market conditions prevail a more realistic worst-case spike will be more in the order of $20 for the evening. Flick Electric admits price spikes present a risk of bill shocks for its customers, but observes that spikes, defined as half-hourly spot prices in excess of 30¢/kWh, made up only 0.9% of prices between 2009 and 2013. Flick also has a free app which allows real-time monitoring of spot prices and notifications of incoming price spikes, meaning customers can reduce their consumption if prices skyrocket. However, if you use significant amounts of electricity at peak times that you’re unable to time-shift, for example if you rely on electric heaters and have an electric oven and cooking elements, then you should only opt for a spot tariff if you have the ability to weather occasional price spikes. You should only opt for a spot tariff if you have the ability to weather occasional price spikes. Coupled with the risk of short, sharp spikes is the chance of sustained higher-than-average prices due to a shortfall in electricity generation. Namely, low lake levels caused by a dry winter, which could put serious pressure on the ability of our hydro dams to meet demand. In 2008, low lake levels saw spot prices rise to about 28¢/kWh for 5 weeks, compared with the current average of 8¢/kWh. If the same situation occurred today, the power costs of a typical medium-sized household on a spot tariff would rise from $340 over those two months to $560. Electricity Authority chief executive Carl Hansen says there’s a risk of consumers on spot-based electricity contracts suffering sustained high bills in the event of a dry year. But he believes “it’s the responsibility of customers to assess if they can sustain a few months at high wholesale prices in return for lower bills through the rest of the year”. Use timers: many modern appliances now include built-in delay timers meaning you can set them to run when power’s cheapest (or free). Set your dishwasher, washing machine or clothes dryer to run overnight or during the day. Use a slow cooker: using a slow cooker instead of a conventional oven means both lower overall power consumption and lets you take advantage of low daytime prices rather than running your oven when power is most expensive. Heat smarter: setting your heat pump’s timer to come on a couple of hours before peak time, as long as you have good insulation, allows it to get the bulk of its heating work out of the way before prices are highest. The WITS (Wholesale Information Trading System) website allows you to monitor current and forecast electricity spot prices throughout the country. Alternatively, Flick Electric’s free app Choice (Android, Apple) shows the current retail price per unit paid by Flick customers, along with live data on total carbon emissions from electricity generation. You don’t have to be a Flick customer to view the app’s pricing or carbon data. What happens if you sign up with a new retailer with an attractive pricing offer, reap the benefits for a few months before finding out it’s gone bust? Mr Hansen says that if a retailer goes under “there’s no chance of your lights going out” and that the Authority has provisions in place to ensure customers can move quickly to a new retailer of their choice. But the real risk is if you signed up with an outfit offering rock-bottom prices and budgeted for low power bills, only to find your forecast savings went up in smoke when the retailer vanished. “Due to swift and significant increases in energy prices over recent months […] the position of the business has become untenable” wrote managing director Luke Watson. Only 3 years old when it went under, GB Energy lured in customers with low, fixed-rate tariffs, but UK spot prices remained higher than expected and the business became unsustainable. Its customers were transferred to a provisional supplier and they had to endure a winter of significantly higher energy prices than they’d anticipated. Asked if the same could happen here, Mr Hansen says it’s a possibility. Analysts describe the past few years on the spot market as “benign” compared with what we’ve seen in the past, and say there’s a chance some of the new retailers may not be able to handle a sustained period of high wholesale prices. Equally, some new entrants may not have the infrastructure to handle rapid customer growth. Mr Hansen claims the Electricity Authority’s quarterly stress tests should give consumers confidence. The issue is the test results don’t identify parties by name. The Authority will shortly consider whether to attribute stress test results to participants, a move we strongly support to improve transparency in the sector. Based on existing retail prices, the difference between the cheapest 2 or 3 plans for your home is likely to be less than $100. So if you had to switch to a new retailer quickly today, the impact on your wallet isn’t likely to be huge. Switching to a small, independent retailer is safe and can reduce your power bill significantly, especially if you’re willing to adjust your electricity consumption to take advantage of cheaper off-peak rates. Even if the retailer goes under, your power supply won’t be affected. If you choose a spot tariff be aware that in return for long-term savings you’ll have to weather periods of higher than normal prices, and there is a risk of sharp price spikes if things go wrong on the grid. However, your overall financial risk is low as these new retailers usually offer no-fixed-term contracts or don't charge break fees, so even if the savings don’t last you can revert to a more traditional plan. After switching, remember to check Powerswitch regularly to ensure you’re still getting the best deal, and don’t hesitate to switch again if a better offer pops up. Many small electricity retailers, including Flick, Electric Kiwi and Paua to the People, require a smart meter before you can sign up. The issue is most of them won’t install a smart meter if your home has an old analogue “Ferraris” model. More than 70% of households now have smart meters after the big energy retailers ran widespread rollouts over the past few years. If you missed out, your best bet for getting a smart meter is to ring around the big retailers to see if they’re installing smart meters in your area. Chances are at least one will be, but you’ll have to sign up to one of their plans to get the meter installed, usually free of charge. To keep your options open, opt for a no-fixed-term plan, so you can cancel after the meter is installed. It’s a bit roundabout, but in many parts of the country this is the only way to get a smart meter. Note, in rural areas smartphone coverage may not be good enough to support a smart meter, as they need a reliable GSM network connection. What caused the growth of electricity retailers over the past decade? The introduction of smart meters and changes to the electricity market encouraged competition, but a major factor has been the switching campaign “What’s my number” launched by the Electricity Authority combined with our Powerswitch retailer comparison tool. We’ve recently redesigned Powerswitch to make it even easier to find the best deal. Just grab a recent power bill, answer a few quick questions about your energy use and you’ll instantly see a list of the cheapest retailers for your home, including the cheapest gas retailers if you have reticulated natural gas. You can start the switching process direct from Powerswitch. I feel that we need a total of only 3 lines companies, one in south and two in north island. We are a too smaller country to have these many local lines companies, all trying to make a profit. I will vote for any political party that promises to change this present system. When filling in the Powerswitch information we are looking at a current or recent invoice. The system then extrapolates this information to annual results. The names used for rates are often duplicated with appendages like "Fixed Term" or "Low User" which may not appear on the account. I think it would be better if the system first estimated the total account for the current provider, so we could check against the invoice that our input was valid. Thanks for your feedback — we’ve passed your comments on to our Powerswitch team. Sometimes there are several plans of the same type but each with variations (e.g. low/standard user, fixed term, etc.). The additional plan labels help distinguish one plan from another. Unfortunately retailers don’t always clearly state the plan type on a bill. For the most accurate result, we recommend entering a year’s worth of usage into Powerswitch. Your annual results will then be based entirely on your actual usage. Please get in touch if you do have any more comments or questions about the site. What about selling power back to the grid? With the increasing performance and benefits of PV panels supplemented by battery storage systems (eg Tesla Powerwalls) it's increasingly likely consumers will be able to sell their excess power back to the grid, possibly at times when spot prices are high. I'm keen to see companies like Flick offer spot rates irrespective of which direction the power is flowing. At present we're getting a miserable 7-8 cents per unit irrespective of spot pricing. Re: What about selling power back to the grid? It’s my understanding an increasing number of retailers, including some of the new players, are looking at offering solar buyback rates this year. However, I’m not sure we can expect buyback rates to rise above the 7-8 cents per unit offered by all but one retailer, especially when this is often higher than the cost of hydro power on the spot market. In addition, there’s nothing to stop retailers cutting buyback rates even further. As we said in our earlier article on solar PV, you should only invest in a grid-tied PV system if you’re going to use a significant portion of the electricity it generates during the day. It’s unwise to rely on selling surplus energy to make a PV system economic. That said, P2 Power / SolarShare offers a buyback rate of 16¢/kWh for the first 50kWh exported each fortnight. Currently this retailer only operates on Auckland’s Vector network. Flick cannot offer cheap off peak rates in Wellington anymore as the line provider will not allow night rates unless a seperate night rate meter is added, even though the smart meter can calculate this data. So putting timers etc on your HWC or dishwasher to have them run with over night makes no difference to the amount you are charged. You cannot beat the power providers, if their bottom line is threatened they will introduce more tarrifs or charges to keep the status quo. So Sad, welcome to big business NZ.